The battery-powered handheld blower that combines high performance with low weight. Batteries & chargers can be purchased separately or as a combined set with tool. No gas. No cord. No emissions and almost no weight. The STIHL BGA 85 handheld blower features a powerful 36-volt, lithium-ion battery for excellent blowing power that is quiet, clean, and best of all, cordless. This lightweight blower is extremely compact, weighing a mere 7 lbs. 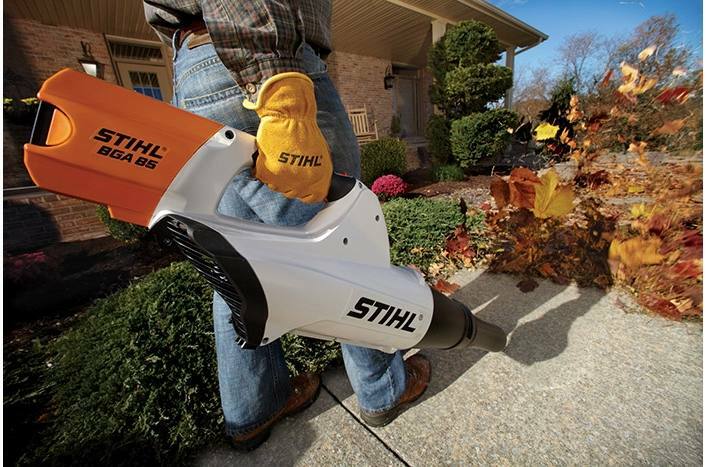 without battery, yet it delivers over 100 mph of air to move stubborn yard debris. And don't expect any gradual power drops - this blower will run at full speed until it's time to recharge. An ideal blower for use around the home. And the BGA 85 blower is part of the STIHL battery-powered line. 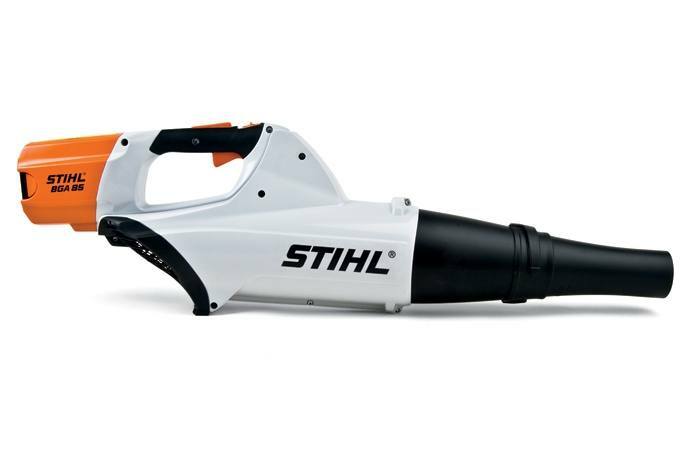 The battery can be used interchangeably among a family of other STIHL lithium-ion products - including chainsaws, grass trimmers, hedge trimmers, pole pruners, lawn mower, and cut-off machine. Run time on a single battery charge can vary and depends on the battery type, charge level, tool model, operating conditions, and the user's operating style.